April is the month of Songkran. 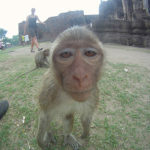 It is one of the most magical moment that I had the opportunity to experience in Thailand. That is why I decided to dedicate an article to it. I hope I will give you the desire to live it too. Songkran is the feast of water that celebrates the Buddhist New Year according to the lunar calendar. Not to be confused with the Chinese New Year, usually celebrated in late January / early February. Songkran takes place from April 13 to 15 each year in Southeast Asia: Thailand, Cambodia, Laos and Burma. The word “Songkran” comes from Sanskri and means “astrological passage”. April 13, 14 and 15 are three days of national holidays dedicated to the celebration of the New Year. People are on vacation the two weeks prior. They take the opportunity to visit their families. It means they leave the city and go to the countryside. Schools and public offices are closed. During these three days, in addition to visiting their loved ones, Buddhists honor their ancestors. They go to pray at the temple and make offerings to the monks. 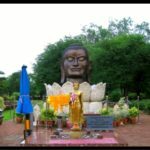 They pour scented water on the hands of their elders, and most importantly, they watered statues of Buddha. The water cleans your sins, and protect you from the evil eye. So people don’t only pour water on the statues of Buddha, but also on all those that they want to purify or protect. So, Songkran is a giant water fight all over the country, non-stop for 3 days. Since April is the hottest month of the year, this water fight is rather welcome. Before I experienced it myself, I was curious to discover a new tradition. It’s always rewarding. But the water fight aspect of it all…well…I’m not a kid anymore. So I didn’t see the point. Ok, I bought my gun, and I too soaked all the people that I met. I sang, I danced, I partied for the New Year. The water fight is going on with a lot of innocence. It’s a moment when we all return to our childhood. Beyond the funny side, I discovered a moment of sharing like I had never seen in my life. Even if it is funny to soak one’s neighbor, it happens with the idea of ​​wishing him good luck for the future. People share everything during Songkran, but especially a lot of smiles and joy. Regardless of your skin color, your age, your culinary preferences or anything else, everyone only wishes you well. You will also see people applying white chalk to each other’s faces. It is meant to protect you from bad luck. During these few days, entire streets are closed off to make way for battles, and concerts are organized everywhere. No need to understand the lyrics, it’s rhythmic enough to make you want to dance with the crowd. There are also shows and religious celebrations happening in the temples. This is an opportunity to discover the customs. Since people are on vacation, most restaurants and kiosks in Bangkok are closed. But it is not uncommon to meet a family who has set up a small barbecue in the street, and who invites you to eat a skewer with them. Like I said, it’s a time for sharing! If you are in Bangkok, it’s great because there is not a single traffic jam! It’s also a great opportunity to go shopping at Chatuchak Market. Many booths are open, but there are far fewer people than usual walking around the market aisles. – Buy yourself a good water gun! – Wear light clothes, because wet jeans are never very comfortable. – For girls, avoid white t-shirts. – For boys, wear the same floral shirt as the Thais. – Buy a small waterproof pouch to protect your phone and other non-waterproof items. – Leave your valuables at home because you will run, jump, and dance. 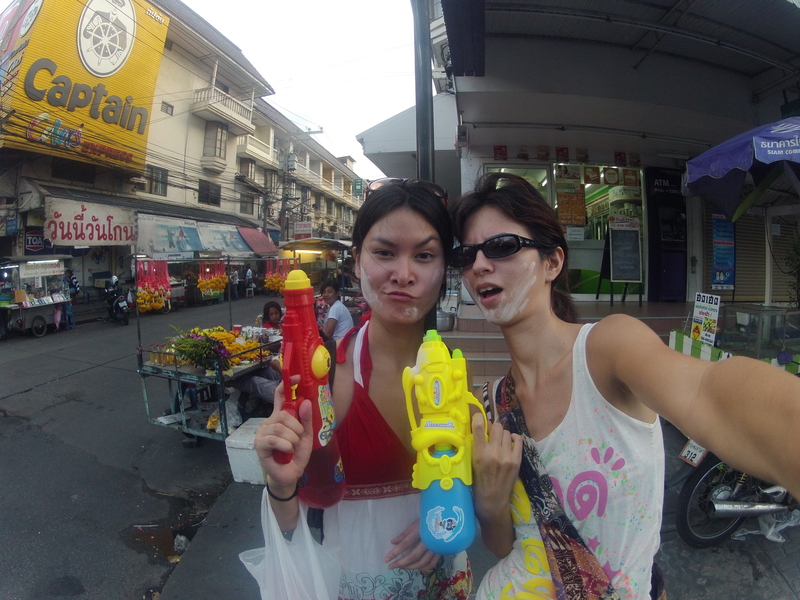 – Do not be afraid to get away from Khao San Road to experience Songkran with Thais, not tourists. – The day before, rest, because the battle will take all your energy. – Do not forget it’s a religious holiday, so water Buddha with respect. – Do not throw anything other than water. – Thais will not hesitate to offer you a beer if they have any. So respond with your own generosity. – Do not take a bus to go to another city! Take the train or the plane. I insist! Too many people are driving around drunk and car accidents are common. Unfortunately, there are at least 1,000 road deaths each year at this time. I only experienced Songkran in Bangkok, but Thais celebrate new year everywhere in the country. In some cities, the event lasts longer, up to 6 days. 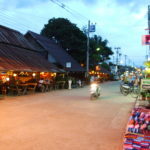 It offers the opportunity to experience Songkran in several places. 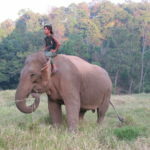 In Ayuttaya, elephants are also in the game. Have you ever been soaked by a pachyderm? If not, this is your chance. In some provinces, sand temples are built in the pagodas. If you’re a child at heart and love building sandcastles, go for it! 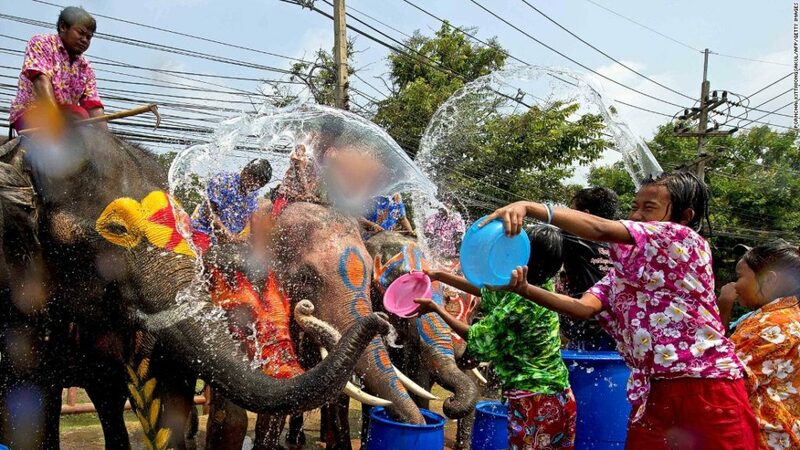 Songkran is a magical moment that everyone should experience at least once in their life. It can only make it more beautiful. So if you want to go to Thailand but do not know when, go for Songkran. Welcome on Romy and Co ! I invite you to discover artists portraits, but also beauty secrets, travel advices, and my favorite addresses. Enjoy !